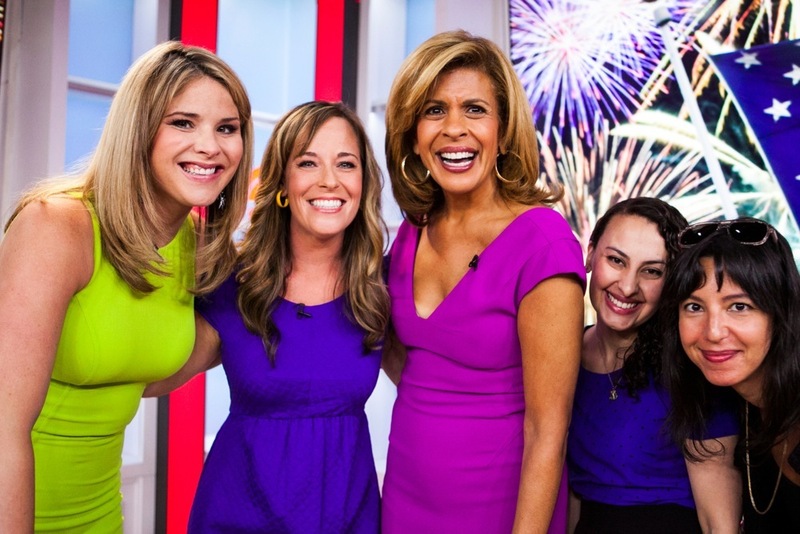 Join me Hoda and Jenna Bush for our TODAY show Cocktail Club! Learn how to make a Cosmo Slushy, a Ginger Blackberry Smash cocktail and spirited appetizers like vodka soaked tomatoes and edible margaritas! P.S. That’s my darling editor Cristina Garces from Abrams, and my fabulous agent Mel Flashman from Trident Media with us in the pic. So you can see I really am wearing heels- my girls at TODAY are just a lot taller than me. Click here to see the TODAY show celebrate summer entertaining with Maureen Petrosky’s new book The Cocktail Club.